Fall Scenic Drives: Late Color | Asheville, N.C.
From late October through early November, lower elevations around the Asheville area feature stunning color, which you can enjoy on these late-season scenic drives. 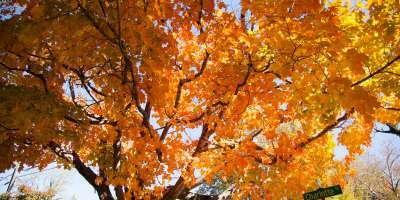 Since the color changes happen often, visit our weekly leaf reports to stay up-to-date on the most colorful foliage. Follow US Highway 19/23 north from Asheville to the New Stock Road exit 21. Turn right at the light and left at the next light, onto US 25. Follow this highway less than one mile to Reems Creek Road and turn right. Drive 5 miles to Zebulon B. Vance Birthplace State Historic Site, site of a working 1830s-era farm once owned by North Carolina&apos;s Civil War governor, Zebulon Vance. Leaving from Vance Birthplace, turn left and travel half a mile to Ox Creek Road, turn left again and wind your way through the picturesque community to the Blue Ridge Parkway. Turn south on the Parkway, toward Asheville. You may want to shop for mountain handicrafts at the Folk Art Center and drive a little further south to the North Carolina Arboretum before returning to Asheville. *ADVISORY: In May 2018, unusually heavy rains caused a landslide along NC Highway 9 between Bat Cave and Black Mountain. The landslide forced the closure of the highway. Crews are working to remove the debris. According to local news reports, the crews say they hope to have the road open by the end of July 2018. From Asheville follow I-26 East to US 64 East and into Hickory Nut Gorge. Continue on to Chimney Rock Park, the setting for the movie The Last of the Mohicans. Take in the views of Lake Lure, where Patrick Swayze danced in the film Dirty Dancing. Head back to Bat Cave and pick up NC 9, a true mountain road with spectacular views of the cliffs around the lake. Wind your way to Black Mountain and explore the many galleries and artisan boutiques that make this small town worth the stop. From Black Mountain, take US 70 through the Swannanoa Valley back to Asheville. Located just north of downtown Asheville, Kimberly Avenue will be canopied by the orange tint of Sugar Maples mixed in with the deep green of Norway Spruce. This lovely residential street offers views of the historic Omni Grove Park Inn perched on Sunset Mountain. 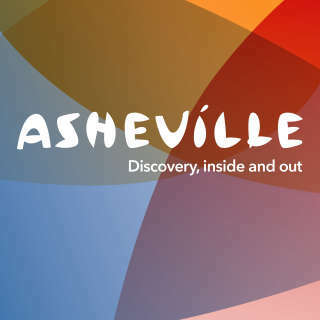 From downtown Asheville, take the Charlotte Street exit off I-240 and proceed north on Charlotte. Turn left onto Edwin Place and follow through the light as it becomes Kimberly Avenue. Follow Kimberly to its end point at Beaverdam Road. 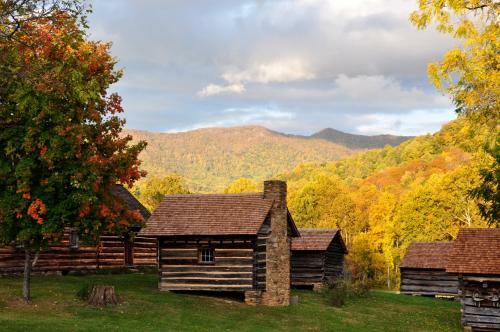 Turn right and drive through the scenic Beaverdam Valley before circling back to Asheville. Surrounded by 434 acres of the Pisgah National Forest, the North Carolina Arboretum is nestled in one of the most beautiful natural settings in the U.S. and is a great place to see Mother Nature&apos;s fall color finale. Enjoy walking paths, horticultural displays, and cultivated gardens, including the Heritage Garden with medicinal herbs and plants, and the Quilt Garden with multi-color flower beds planted in a traditional quilt block pattern. The Arboretum is located south of Asheville on the Blue Ridge Parkway at milepost 393, or take I-26, Exit 33 (formerly Exit 2) and proceed 2 miles south on Highway 191/Brevard Road.